Doug- Thanks for keeping this rig alive. 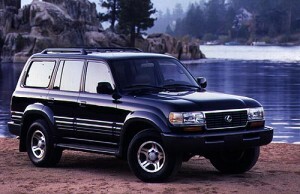 I have owned 4 Toyota SUV’s including a 95′ 80 series. Damn if it wasn’t the most stable rig I’ve ever owned and just slow enough to keep you out of trouble. Rev that FZ-I6 past 2k rpm and it got too thirsty to race around, not that it was worth the trouble. This rig also had suspension components made 20 times stronger than any Prius, making it an excellent trail rig. I took it through 500+ miles of Montana rock crawling and it came out with nothing more than a few scratches underneath. I regret selling mine every day and look forward to the day when I can get another in the garage as a project. 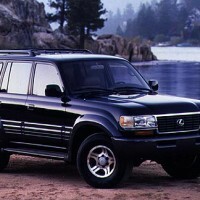 The 80 series Cruiser/LX is the last model of a truly amazing breed of solid and reliable off-road vehicles that we will likely never see an automaker produce again. I think the Lexus version shown here makes a statement that I wouldn’t want made for me. Though I just said I’d willingly own a supercharged Range Rover, so that should tell you something. Volvo XC60, and Volvo XC90. curse you and your reminders…. Currently my daily driver is a ’97 Landcruiser and I love it every day. I almost bought the LX the same day I bought the TLC, but there were a few wierd things about the LX (like 4 totally different tires) that made me glad I got the one that I did. Mine has 282,000 miles on it and I still think it is a better vehicle than many newer cars with way less miles. I occaisionally long for the nicer details of the LX, and as I have shopped for something with less miles, the price difference between the TLC and the LX is really minimal. Sadly, the mileage may be finally be the reason I that I get rid of it… anyone have a brown diesel wagon or a 944 for sale? I have a thing for 90′s Toyota trucks. I currently have a ’97 T100 that I’ve owned for the last 14 years and it’s been by far the most reliable vehicle I’ve owned. Deep down I’d like to find one of these or a Land Cruiser to go with it. Doug, awesome site! You have a new follower.